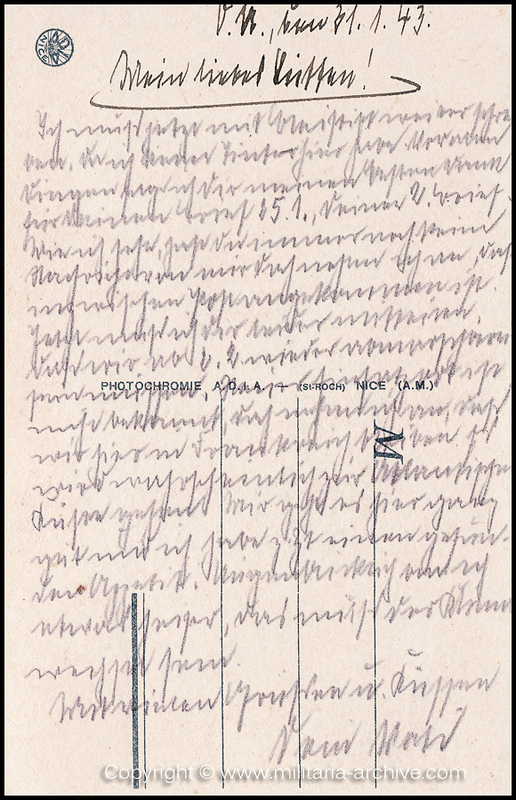 Collection of over180 items of Feldpost, Letters, Postcards, Telegraphs belonging to Polizei Obersekretär Adolf Meinke. The period covered includes 3.Komp, Pol.Btl.181, Polizei-Bataillon 2, 1. Kompanie Pol.Rgt 1, Pol.Rgt 14.